The Seay Biomedical Building, named in honor of Charles E. and Sarah Seay, houses the outpatient clinics of the Harold C. Simmons Comprehensive Cancer Center on the North Campus of UT Southwestern Medical Center. Our clinics offer a total of 26 private infusion rooms that are designed for the comfort and convenience of patients. 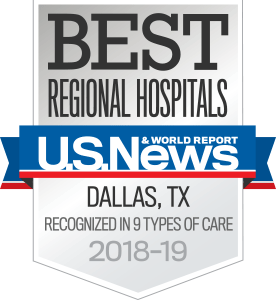 This elite distinction, which is held only by the nation's top-tier cancer centers, recognizes innovative research and excellence in patient care. It is the gold standard for cancer programs.